Determined to overcome her difficult past, Anna Starr lands a coveted job at the nation's biggest celebrity magazine in the center of the New York City power scene. She learns early on to make it on her own, and through sheer force of will she does. But frustration sets in when the dark side of tabloid journalism starts to poke through, and she gets duped while dating slicker-than-thou city boys. Amidst a sea of cocktail parties, Anna meets rising art star Damien Wolfe. Their connection is dangerous, intense, and passionate beyond her imagination. He sees her in a way that she has never seen herself, setting her on a journey toward self-discovery— understanding what it means to be truly loved for the first time in her life. But she may lose it all when her blind ambition and his dark past lead to a crisis that changes everything. Anna, leaves her small town life for the bright lights and action of New York. Her dream to follow in her Aunt Sylvie's footsteps and become a journalist drives to take a job as an assistant to the editor of a tabloid, Celeb. What at first seems like the dream job to get her foot into the door soon becomes crushing as she watches the magazine tear down the people they write about. 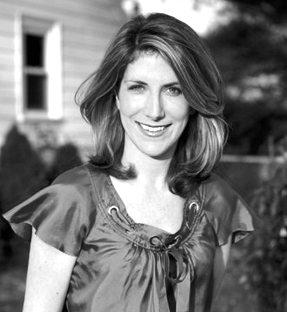 This was a very interesting look into the world of journalism and knowing that the author Ava Cummings has real world experience in this field really makes you think hard about what is going on out there. I was both shocked and resigned to the fact that this is the reality of the tabloid machine. It's a cut-throat world out there for journalists and the celebrity scene that they write about. I loved reading through Anna's eyes. Seeing this young driven woman fighting her way to make her dreams happen was refreshing. I will admit to at first being taken aback by the ease in her romantic choices but the more I thought on it the more I said to myself. 'We read books with guys acting this way all the time and we never bat an eye lash. When we ( I in this case) see a woman living just moment to moment and letting romances come and go I get all cringy, why? She deserves to be out there finding her own way just as much as any man does. It doesn't make her any less of a woman, so heck yeah Anna Starr go on live your life!' Now that said, I could have shaken her a few times for her choices, haha, but that is just age and looking in from the outside talking. Who knows if I'd have been thrown in to the high society scene when I was in my early to mid 20s I would have probably been living it up just as Anna did. Thank Goodness for Damien and really Jesse too. These were two refreshing male characters who didn't play games, especially Jesse. I'd love to see a second book detailing his story. Damien is your typical brooding artist, but with a heart of gold and a soul much wiser than his years. He's tortured by his past and afraid of his future. I loved his connection with Anna, they had that immediate chemistry, but they were given time to fall into each other. Although I know that Anna needed the time given to grow into herself away from Damien, I wish we had been given more time with them. I loved the feel of the two of them together. My biggest challenge was I had difficulty finding the timeline for all that went on. I couldn't tell how long it had been between Anna's first event to the time she meet up with Damien again. How long her relationship with Alec ( jerk of epic proportions) lasted, etc. At times it only felt like a few weeks and others months. I am certain this was just my struggle though as I got so lost in the story going on I likely just missed it. There is a lot of action in this book that kept the pace nice and smooth. The romantic scenes are pretty steamy and intense. This is definitely a Mature Adult read, I wouldn't classify it as full on erotica but it is a bit steamier than most Contemporary Romances. If you are looking for a romance story line that you haven't heard before this is a great choice! Ava Cummings spent more than 10 years as an editor at some of the biggest and best-known magazines in the world. She fetched coffee, fell in love with fashion, and eventually became a full-fledged editor, covering Hollywood and bringing in stories about bold women that were making a difference in the world. 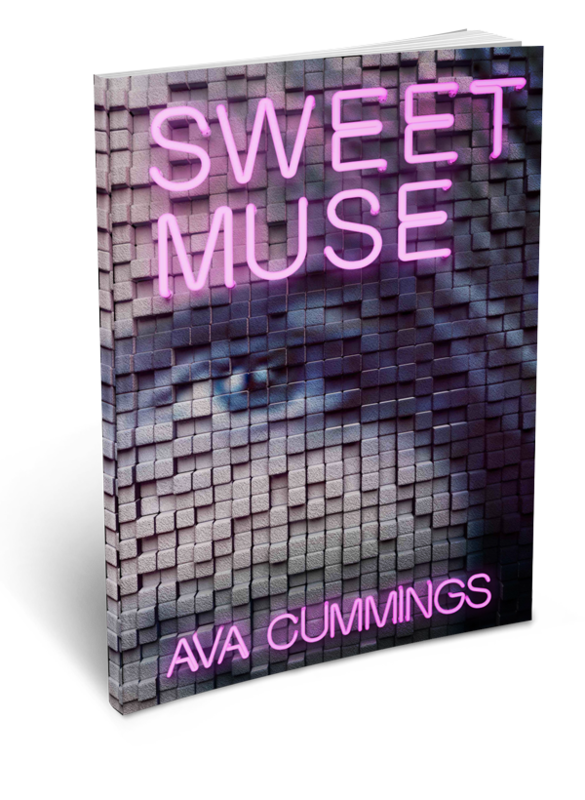 She has spun together the sweep-you-off-your-feet happy endings of fairy tales, the unbelievable headlines she reads in the news, and the quirky personalities that she’s encountered in both the real world and on reality TV in her first novel, Sweet Muse. Ava lives in the leafy suburbs of Boston with her husband and two children.